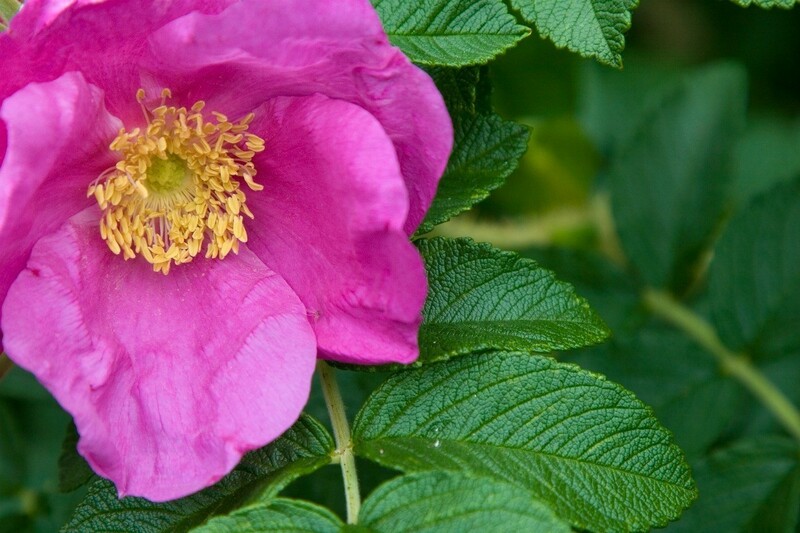 This guide is about Transplanting Rosa Rugosa. A hardy rose bush that produces lots of suckers, large rose hips, and can make an impermeable hedge. I tried replanting "sea" or beach roses as they can be known as. Rosa Rugosa I believe is the other name. It doesn't look like they may make it, is there anything I can do? Also, I would like to transplant others that have sprouted from the originals. How do I do this? You've got nothing to lose by still watering it..don't give up hope, rugosas are tough roses. It may just be pouting. I transplanted a rugosa once that I was sure was dead, and the following spring, it decided to grow. Hang in there! Good luck. I bought one a while back. I thought it died over the winter. But to my suprise it came back from the root. A whole new bush came from the root. I have also cloned from cuttings assorted rose bushes over the last couple years. I take a cutting, put it in a good light weight potting mix in a well drained pot. Avoid clay pots! Remove most of the leaves. If all the leaves fall off don't wory about it. They clone any way. Water well then put the pot in a dish with some water remaining in the bottom of the dish. Change the water about every three days. Water the pot from the top letting most of the water drain out. Let what drips in the bowl stay, leaving the water in the bottom of the dish with the pot inside. In about 5 to 6 weeks you should have a rooted plant. As you probably know little by little your clone will need less water as the roots develop. Once your start is rooted it will take less water. Roses don't like there roots wet all the time. But you have to start out with water, water, water. When transplanting in the ground do it while you are having a spell of rainy over cast days. Otherwise you will need to shade your plant after transplant and let it adjust to the sun every day little by little. 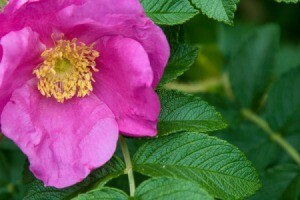 Good luck with your Rugosa! Thank you. They do seem to be hardy. I just love the smell of them and don't want to lose them!